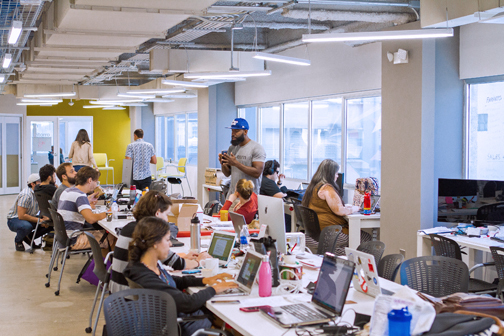 Thirty-six companies from 13 countries will participate in the accelerator’s 20-week program at P18’s Santurce headquarters. International startup accelerator Parallel18 (P18), based in Santurce, announced the selection of 36 startups representing 13 countries for its fourth generation of mentoring program. Like in previous generations, the U.S. mainland and Puerto Rico are in the lead in the number of chosen companies, followed by Argentina, Mexico, Chile, Brazil, Colombia, Canada, Spain, India, Ireland, Peru and United Kingdom. This cycle’s participants are: from Puerto Rico, Señor Paleta; Bonjour Ana; StageBoom; TextualMind; BrainHi; ENTREGAMEDS; and PARKNET; from the U.S. mainland, re: 3D Inc.; Vidcode; Atlas Wearables; RADIOMAZE; UpCraft Club; ICM Hub; HostTonight; Kiwi Campus; from Argentina, Wisboo; CamOnApp; WOOCAR; and Omnia; from Brazil, Husky; and Coinaction; from Canada, Faircoin; from Chile, E-Voting; Ark Paradigm; and Intelag; from Colombia, Backstartup; and Workep; from Spain, YUVOD; from India, CloudBoost.io; from Ireland, Awesound; from Mexico, StoreLevel; EXCITED; ByPrice; and CuidaMiMascota; from Peru, WeClub; and from the United Kingdom, Ecoisme Limited. P18 is one of the pillar programs of the Puerto Rico Science, Technology and Research Trust, in alliance with the Department of Economic Development and Commerce and the Puerto Rico Industrial Development Company. “With more than a year of operations and four calls for applications, we have seen how diversity in the founders’ background and the startups has positively affected the results and competitiveness of the companies that participate in the program,” said Sebastián Vidal, executive director of P18. “This also translates into an impact to the local ecosystem through the exchange of experiences and knowledge,” he said. Since its inauguration in April 2016, 91 companies have participated in the 20-week long program, delivered from the P18 offices in Santurce by local and international mentors, among those successful entrepreneurs, investors and experts in diverse business topics. “We’re very proud to see among the local companies students projects that evolved and became viable companies alongside brands that are recognized by consumers on the island, every single one of them with the vision of expanding its market outside of Puerto Rico,” added Vidal. P18 is an international accelerator for innovative startups that want to scale their businesses from Puerto Rico. It offers a $40,000 grant, training with high caliber mentors and office space in Santurce, Puerto Rico for five months as well as access to a valuable network to achieve internationalization goals. The companies that stay in Puerto Rico once the program is over, will be eligible for the follow-up funding of Parallel18 Ventures, that matches up to $75,000 in raised private capital. P18 selects up to 40 companies twice a year. The basic criteria for selection is: innovation; under three years of establishment; be past the concept stage and have sales or a validated product, and also the ability to scale globally. Hey Buddy!, I found this information for you: "Parallel18’s 4th generation of startups arrives in August". Here is the website link: https://newsismybusiness.com/parallel18s-generation-startups/. Thank you.